What does The Great Frame Up Franchise Cost? Now is a great time to become a part of the 35+ year history of the country’s leader in custom picture framing. Flexible hours. Excellent training. Minimal inventory. Well-heeled cliente. All the elements of a great franchise opportunity. The Great Frame Up. And we don't just say it. We mean it. We prove it. 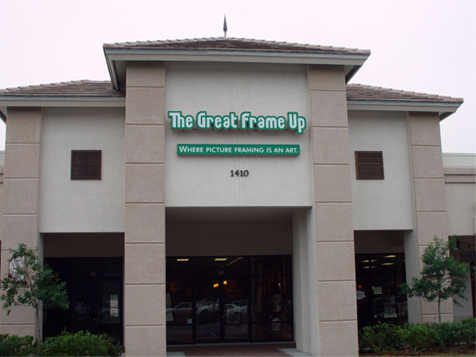 Our goal is to enhance and beautify our clients’ homes and businesses with the best in art and picture framing and we do that by providing the best in training and support to our franchisees. Now is a great time to become a part of the 35+ year history of the country’s leader in custom picture framing, The Great Frame Up! The Great Frame Up team will assist you with every step on your path to success. From site selection and lease negotiations to training in the latest museum-quality custom framing techniques and design principles to sound business functions. We will help you open a business you will be proud of for decades to come and provide you with on-going support to ensure your success. You don’t have to be an artist to own a successful The Great Frame Up or even have any picture framing experience. We offer a total turn-key approach to embarking upon your new career! 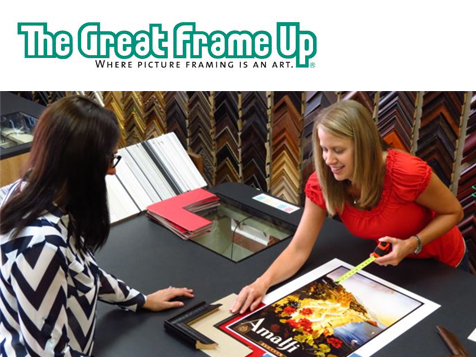 As the owner of a The Great Frame Up, you will enjoy a professional environment and the thrill of working with beautiful artwork and a pleasant, educated client base, drawn to us by our top-level marketing materials. By blending old-world craftsmanship with the latest in technology, you will earn a loyal clientele and enjoy family-friendly work hours that allow you to enjoy your other favorite pursuits. Our franchisees come from all walks of life. Some are husband and wife teams starting early to plan for active retirement now that their families are grown and gone. Some are individuals or friends who have decided to pool their resources. Some are business executives who want to be their own boss and have more control over their future. What our franchisees have in common is their uncommon ambition. You too, have the opportunity to discover the freedom, fun and potential of being a The Great Frame Up franchisee! !